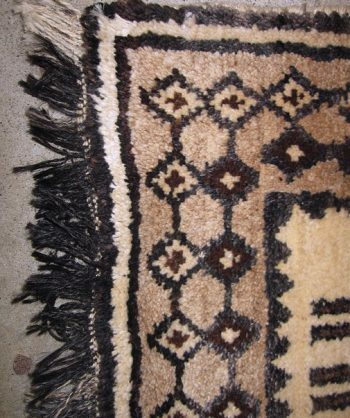 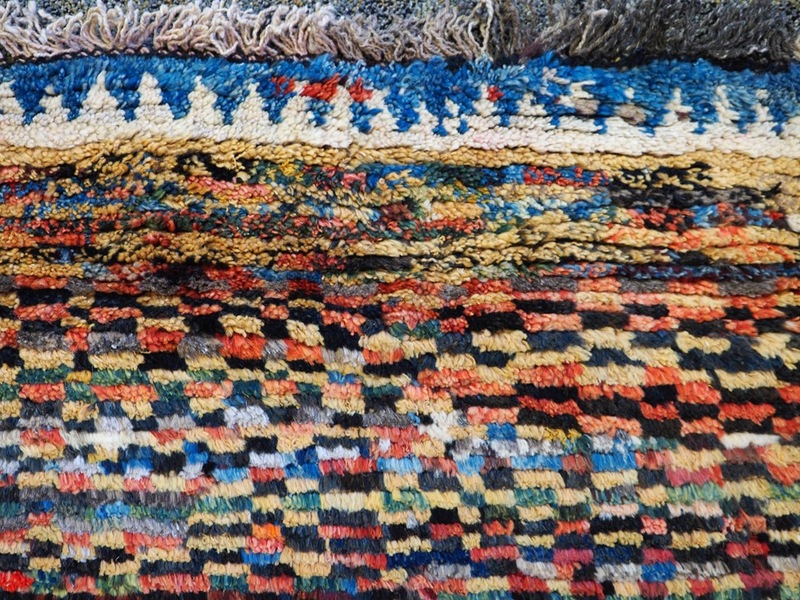 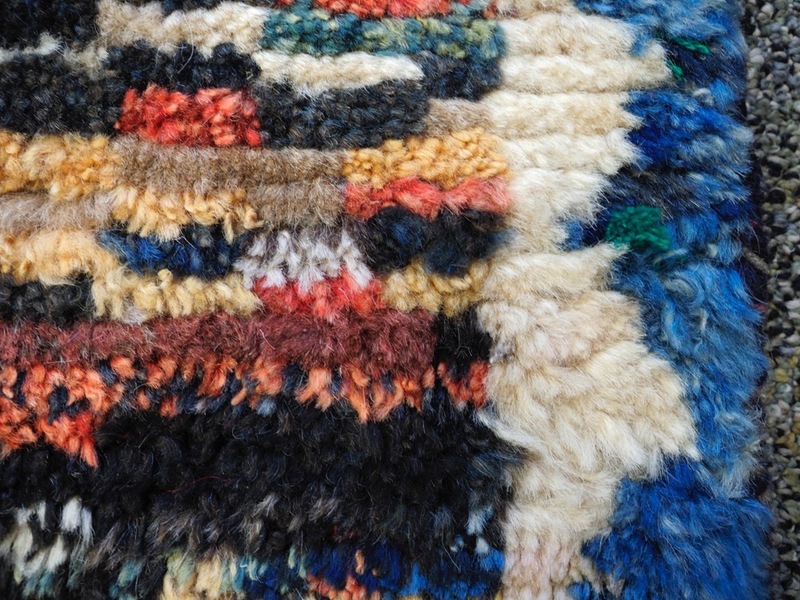 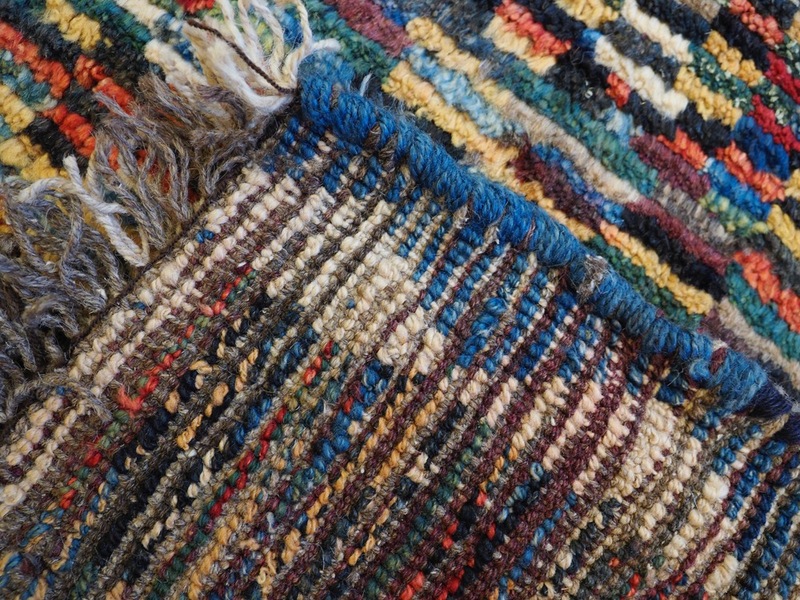 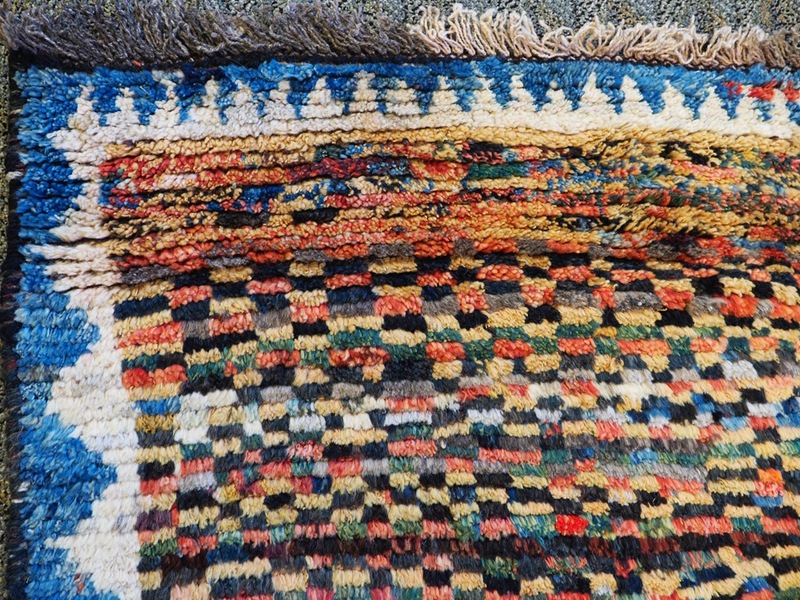 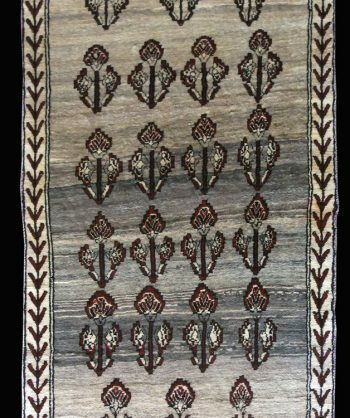 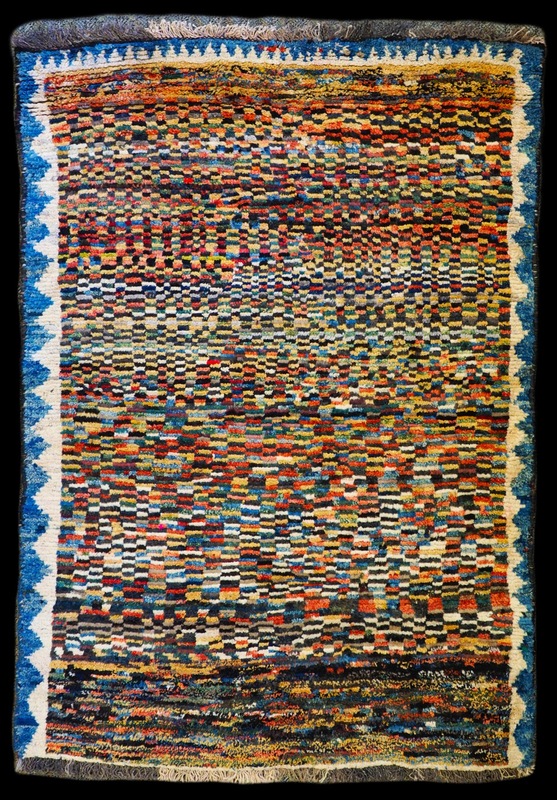 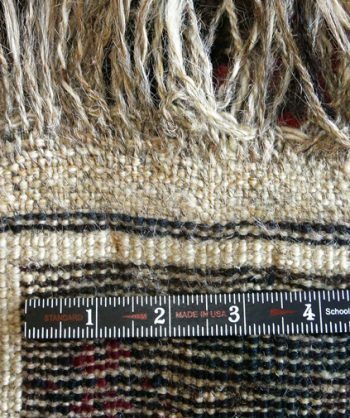 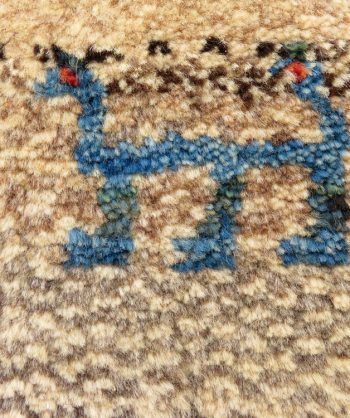 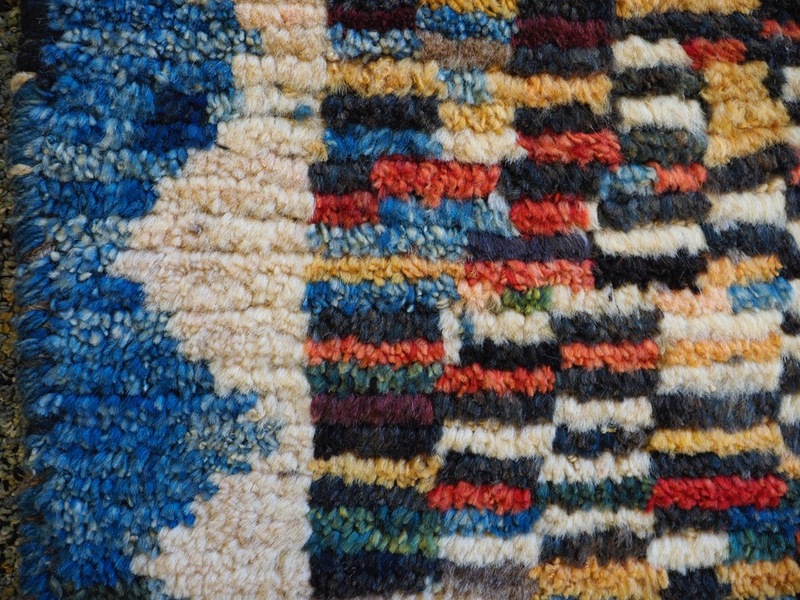 Tags: Antique, GABBEH, Persian Rug, Tribal, vegetable dyes. 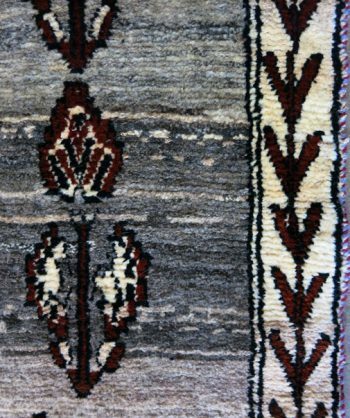 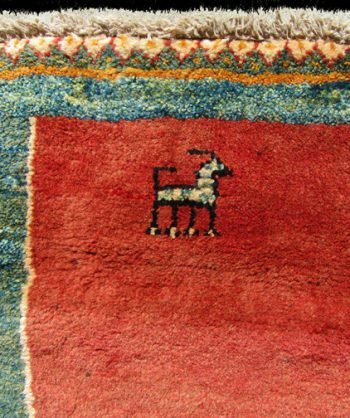 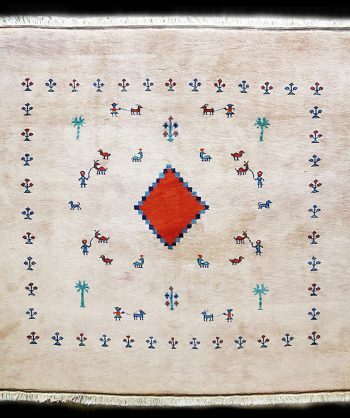 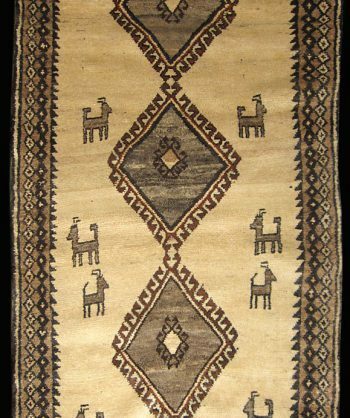 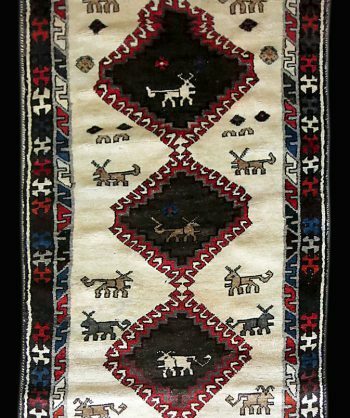 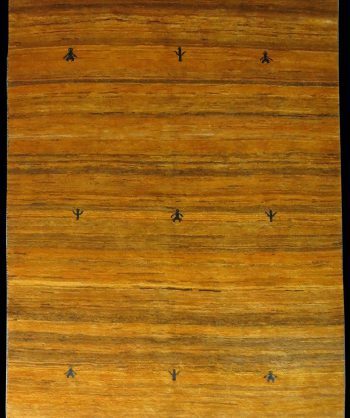 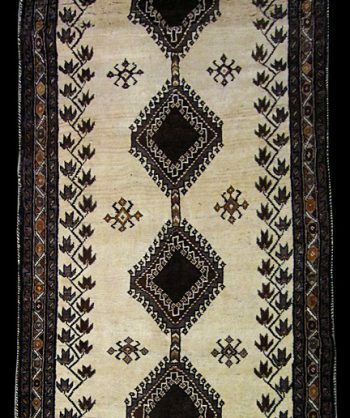 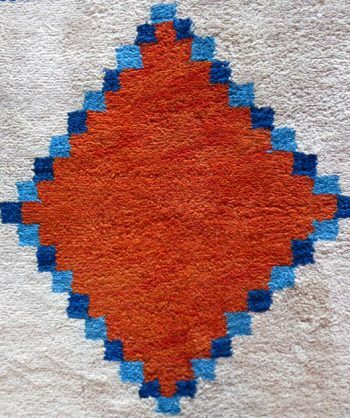 This Antique Gabbeh Carpet has a simple original design woven by the Qashqai a Nomadic tribe in Southern Persia. 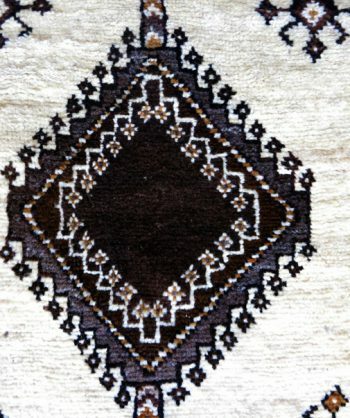 The weavers are usually women who teach their daughters how to weave. 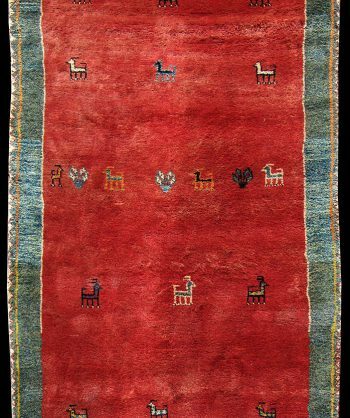 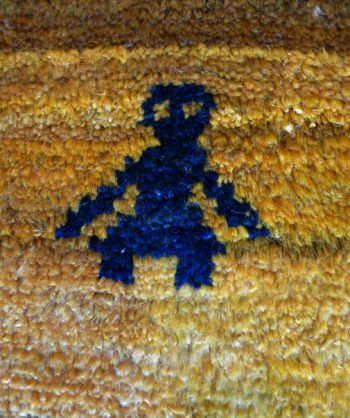 The figures often depict the weavers themselves and their own personal animals. 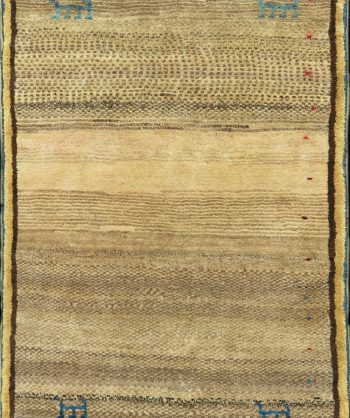 The abrash is created by many different hues of the same color representing the land in which they live. 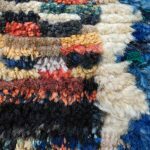 All-natural dyes are used which are made from roots, vegetables, flowers and insects that they collect along their way as they migrate.